After a traumatic experience in high school, Go Dok Mi has become a shut-in, rarely venturing outside her house and living off freelance editing work that she can do from home. She has a crush on the man living across the street, who she spies upon using binoculars. One day, his guest (Enrique Geum) catches her in the act, and her reclusive way of life comes to an end. 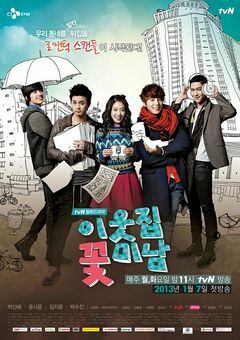 Flower Boy Next Door is the third installment of tvN's Oh! Boy project series. 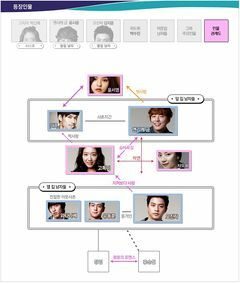 This drama series features star-studded line ups of flower boy leading men. Other entries in this series are Flower Boy Ramyun Shop, Shut Up Flower Boy Band, and Dating Agency: Cyrano. This drama broadcast simultaneously on tvN and OnStyle, so several viewership ratings above is combined from both channels (tvN + OnStyle). This page was last edited on 4 November 2018, at 20:01.